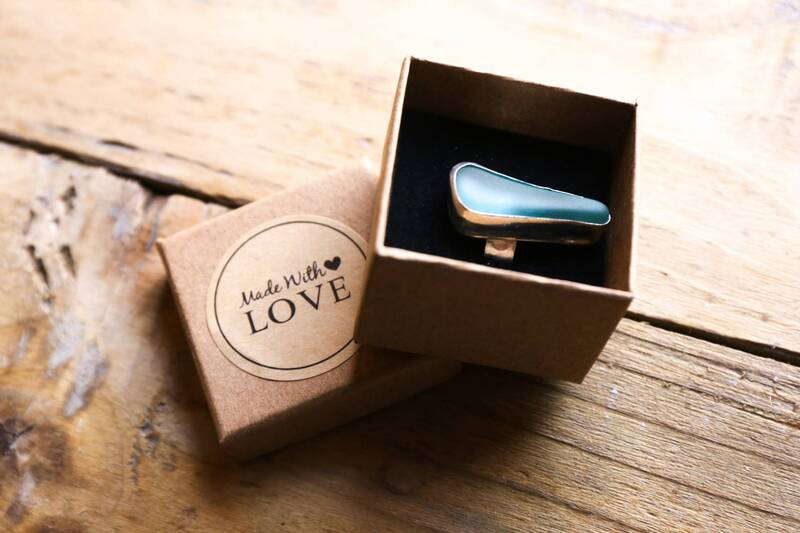 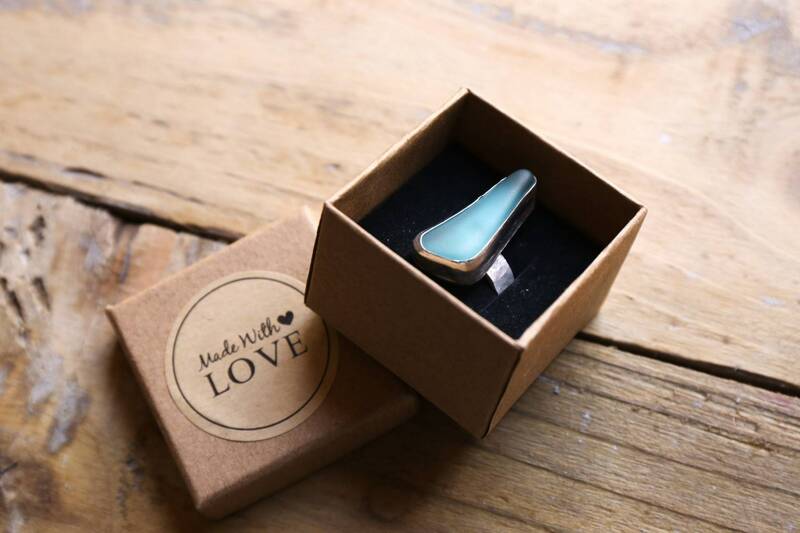 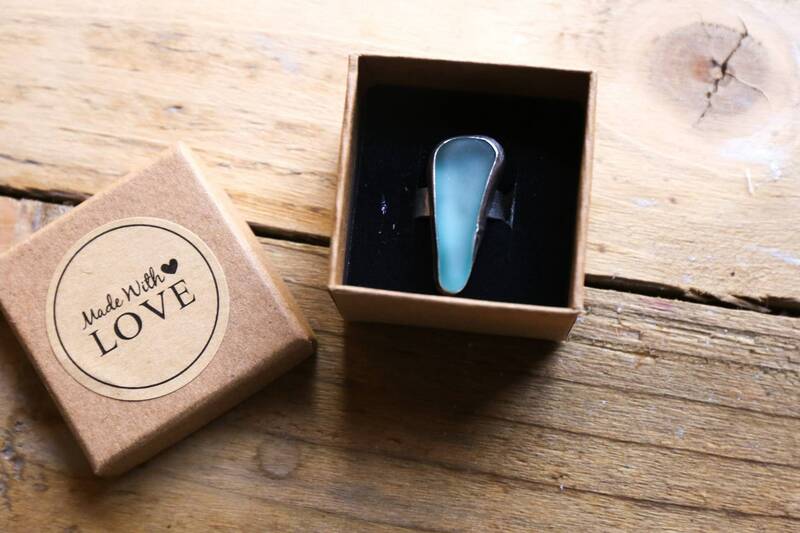 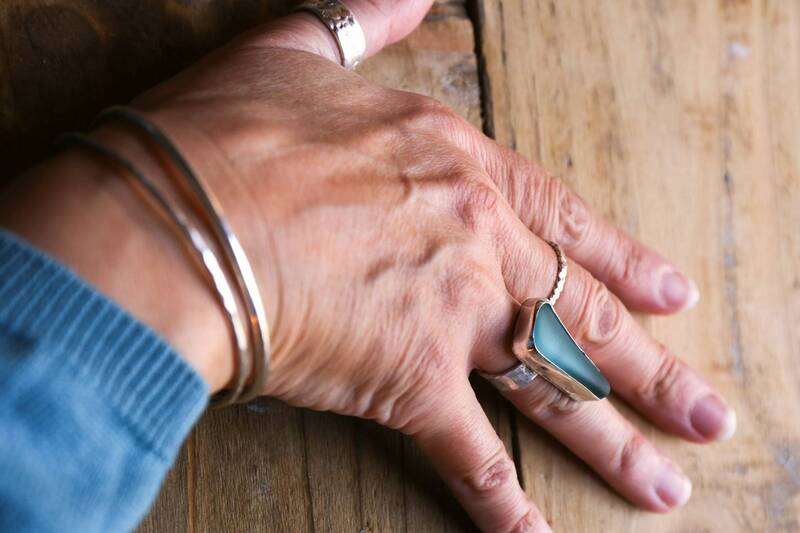 Handmade sterling silver ring, set with a beautiful shard of blue Seaham seaglass, collected from the shoreline on one of my favourite days out. 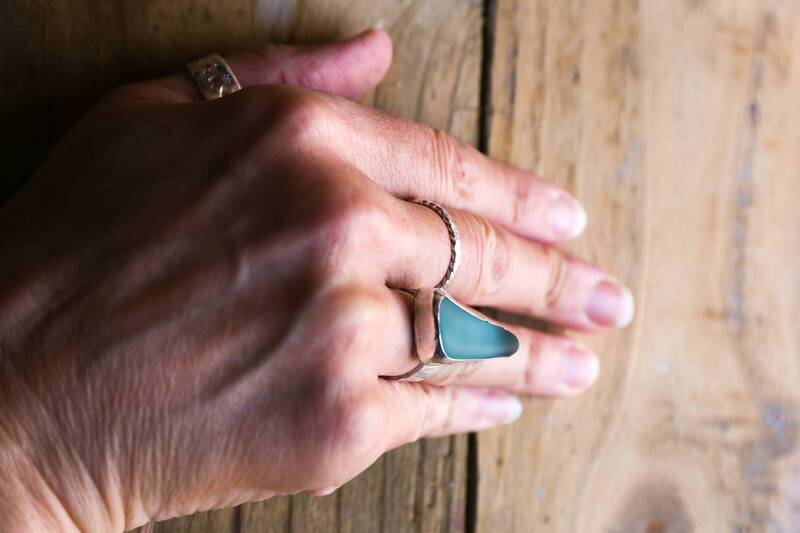 I don't often find blue glass, so when I do, my heart skips a beat and I prevaricate endlessly about the best piece to make with it. 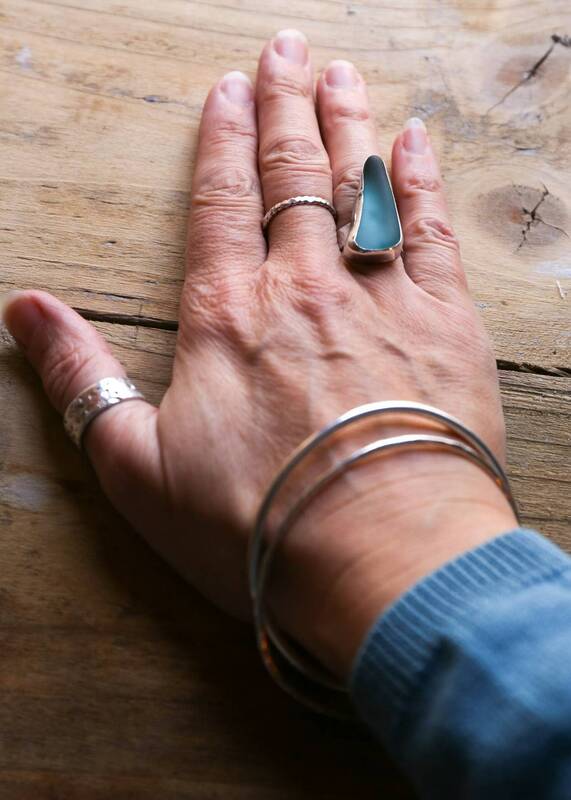 Made in a simple style to showcase the beauty of the glass, with quality sterling silver here in my little studio in the North-East of England.